For a very long time, women have been struggling with a variety of stigmas and issues involving their gender and being recognised as leaders in Business; the Gender Pay Gap is only one of the hot topics affecting female leaders in Business. However, according to a 2016 survey conducted by "Women’s Entrepreneurship" an estimated 163 million women were starting or running new businesses in 74 economies around the world. In addition, an estimated 111 million women were running established businesses. 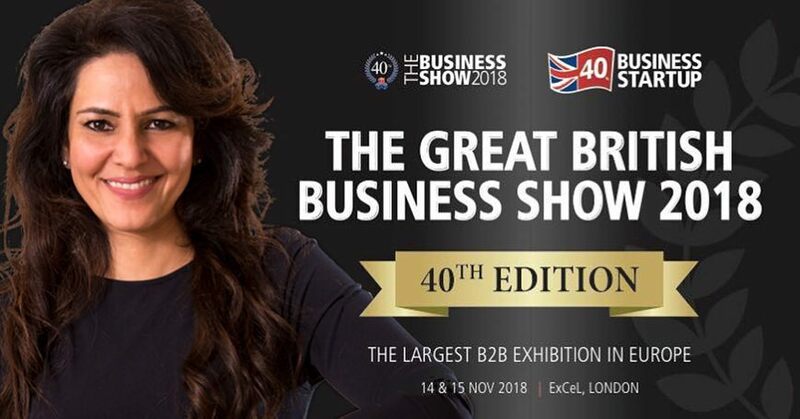 This November, four female business leaders and entrepreneurs will be part of the "UK’s Finest Female Business Entrepreneurs" panel, at the 40th Anniversary of The Business Show, where they will share their business background, personal successes and struggles. Kavita Oberoi OBE is one of the UK's most highly regarded successful entrepreneurs and social philanthropists and will present her "Who Wants To Be A Millionaire" seminar at the event. Kavita has a multi-million pound business portfolio, and her most recent charity project is the Derby Breakfast Club, which she instigated with the local council to ensure no child in Derby goes hungry to school. “I’m really looking forward to speaking at the event and meeting like-minded people, who aspire to achieve great things for their businesses. Lauren Pope is a business woman and social influencer who started her journey into the world of Business in 2007, when she launched her own hair extension and accessories brand “Hair Rehab London”. In an exclusive interview, Lauren will speak about her journey as business leader and influencer as well as her brand, which counts over 115K followers on Instagram and it is praised and loved by celebrities, blogger and influencers worldwide. In her seminar "The Secret To Success And Happiness", Tara Howard, Founder and CEO of the Venus Awards, celebrating Women in Business with the aim to recognise and enhance the status of women in the UK and around the world for decades to come. As a business woman, Tara bought her first property at 22, and later took over her family owned hotel business, transforming it into a premier wedding destination. Tara will share confidence tips as well as how she learnt from other business leaders. Rachel Elnaugh, award-winning entrepreneur who founded the experiences brand “Red Letter Days” at the age of 24. In her seminar, "From Dragons To Business Zen", she will share the highs and lows of her Business journey, as well as her key teachings to help others develop their own business. Rachel rose to fame as a "Dragon" in the first two series of BBC TV’s BAFTA nominated business show "Dragons’ Den".